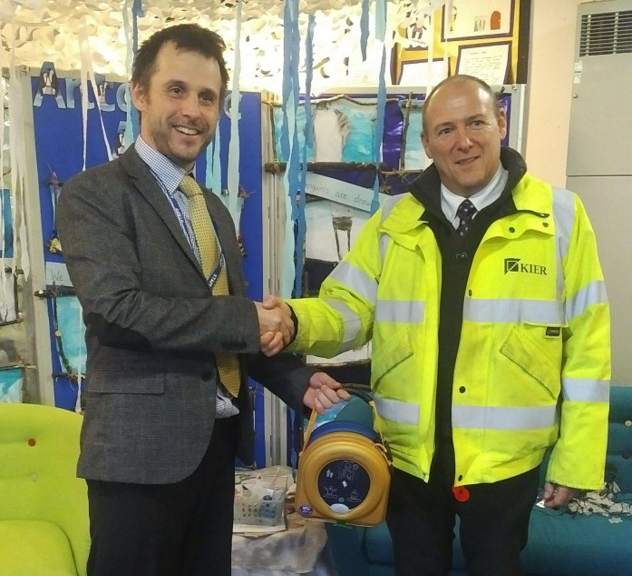 Following the completion of the new extension to Turton School, Kier have purchased and donated a defibrillator to leave as a legacy gift for the school. 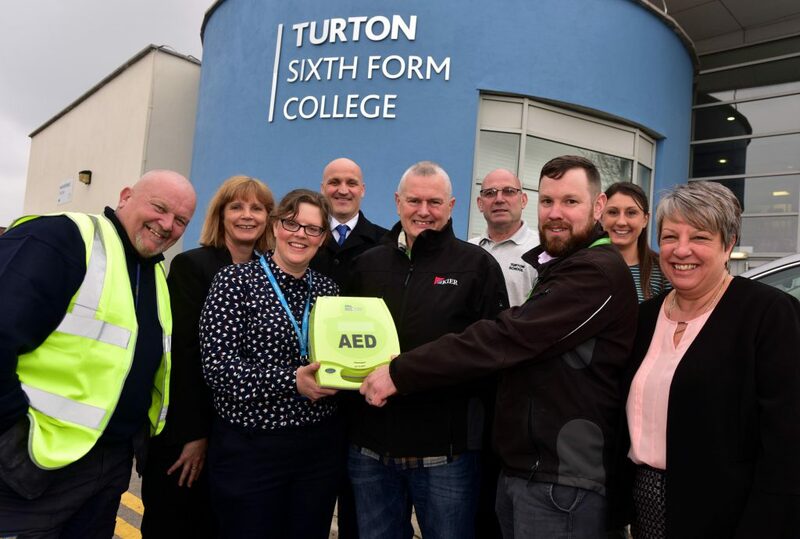 The defibrillator was donated in recognition and thanks to Turton School’s Caretaker, Barrie Kelly and Derek Miller (a delivery driver) who were on hand to support our Site Foreman, Nigel Bartlett, who suffered a heart attack whilst working on site last year. The donation of the defibrillator was marked with a ceremony on 28th February which is particularly poignant as Nigel prepares to return to work. Late last year the project team from both the Fylde project and the Sports Hall donated a defibrillator to a local Lancaster Primary School, Willow Lane. Phil Shepherd, Project Manager attended a school assembly in which the official handover took place. Phil and the project team including our very own mascot Kieran have been engaging with Willow Lane throughout both projects, delivering construction related activities to the red class. The school have thoroughly enjoyed learning all about construction and showed their appreciation by sending the team some lovely thank-you cards. Photo features Phil Shepherd and Head Teacher, Mr Mel MacKinnon.